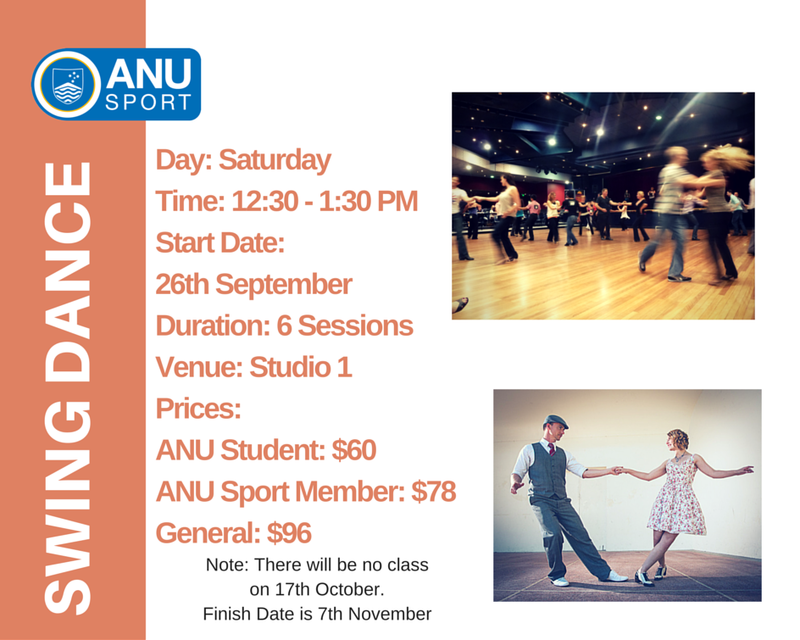 Lindy Hop classes commencing Saturday at ANU! Starting this Saturday 26 September, we’re offering an exciting six week block of swing classes – designed to get you partner dancing and having great fun in no time! No partner or experience required, just bring yourself and we’ll get you moving! This class will be perfect for people who have never danced & for all those gagging to learn this 8 beat rhythm. Also, a great opportunity for people wanting refine their moves before moving into a Level 2 class. This will run as a course, however drop in attendees are welcome. It will progress each week. Starting this Saturday, you can take your first steps to Swingin’ Out!! ← Introducing Blues Dancing classes – Monday Nights!